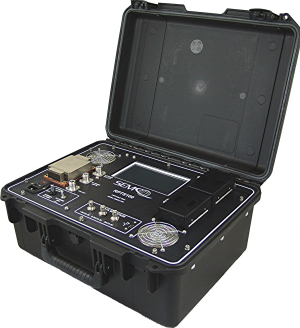 SEMCO's Telemetry Signal Simulators are provided in 2U rack-mount configurations, as well as ruggedized portable and hand-held battery-powered configurations. These simulators are designed for pre-mission checkout of a telemetry ground station, as well as for telemetry receiver testing, calibration and maintenance. The simulators provide several optional power output ranges from +37 dBm to -100 dBm. An optional embedded noise source provides for precision Eb/No testing. The simulators provide an internally generated pseudo-random PCM code generator, user-selectable multi-mode modulator, calibrated single and optional dual, independent RF outputs, an embedded Bit Synchronizer and a Bit Error Rate Tester (BERT). The available RF output frequency range spans 200 MHz to 5250 MHz. Modulation formats include PCM/FM, NTSC Composite Video, PM, BPSK, QPSK, Tier I SOQPSK-TG, Tier II Multi-h CPM and FM/FM Sub-carrier. An optional AM antenna error signal feature is also available. The external modulation feature allows for user-provided analog and digital signal and test patterns as well as binary file playback capability using pre-recorded mission data. 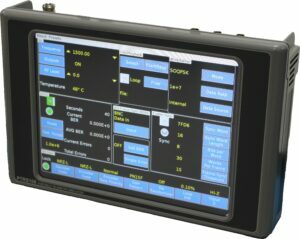 Dynamic combiner performance testing capability provides for user-selectable phase shifts and CH1/CH2 signal level shifting (fade) at user-selectable fade rates. The simulators provide for data and test result logging and printout as a .csv file.